First make-up item ever purchased? I actually only popped my MAC cherry last September! I bought Lightscapade and reviewed it here. First high end make-up splurge? Honestly, I've never been a big high-end make-up person. I prefer high end skincare. I think it was Benefit though. Oh I remember that really well. I was 15 and I was in Essex. In one of the shopping centres, a sales assistant pulled me aside and tried some different products on me. She made my skin so caked and orange looking, ugh. 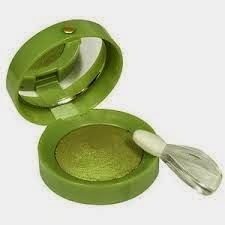 A horrid lime green shadow from Bourjois! I've been buying skincare products since I was thirteen. I think it was some three step cleanser, toner and moisturiser from Avon. I actually never liked fake tan, but I was made put it on for weddings and such. The last time I wore it was when I was 15. Embrace the pale! And that is my trip down Make-Up Memory Lane! Feel free to steal this tag if you want to, and if you do, leave me links below. 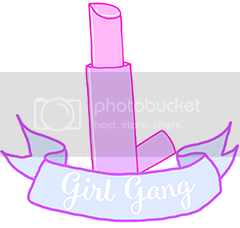 I really loved this tag and would be interested in reading more!